If you’re a student in the eighth grade, college may seem like a distant dream – something that is still years away. But college is closer than you think, and there are many things you can do — starting now — to make your college dreams come true. Choosing a quality Catholic high school education is one step you can take, and finding great mentors to help along the way is another. That’s where The Onward Scholars Program at St. Pius X–St. Matthias Academy comes in. 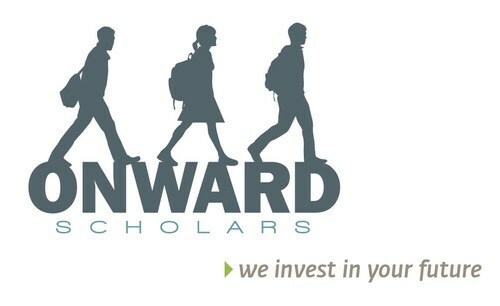 Students who are selected for The Onward Scholars Program receive four-year scholarships to attend St. Pius X–St. Matthias Academy in Downey, along with mentoring, college counseling, and enrichment activities. If you're an eighth grader with a strong academic track record and the potential to be a leader in school and in your community, you could start high school as an Onward Scholar at St. Pius X–St. Matthias Academy. I honestly feel so blessed to be an Onward Scholar. I love this program because it not only helps be financially, but also guides me to becoming my full potential self as a leader and a scholar. I Love OSP because we are a family. I Love OSP because they care about my future.